Good Friday Activities | My Crazy Blessed Life! Good morning friends! It is Good Friday, the day we remember Jesus’ death on the cross. I love the saying, “It’s Friday, but Sunday’s a comin’!” Search for the YouTube video and watch it today, it is a powerful reminder of what Good Friday is about. 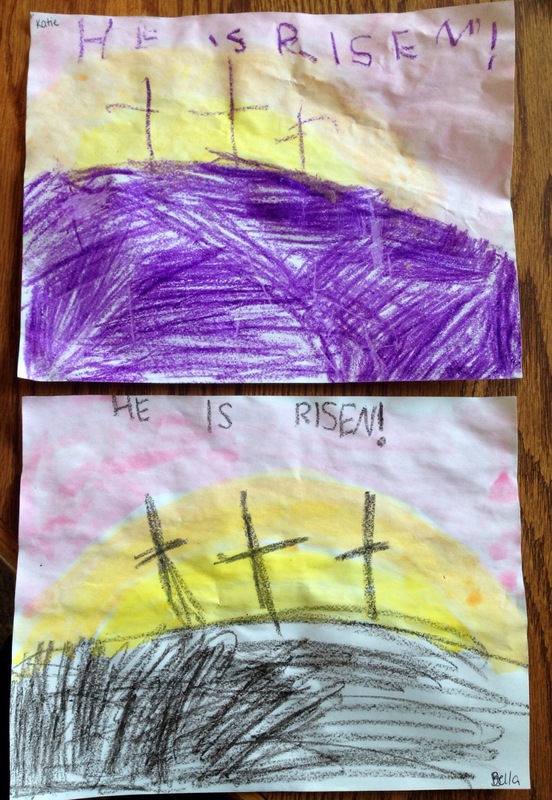 This week in my art class we did a project to help them remember the meaning of Good Friday. 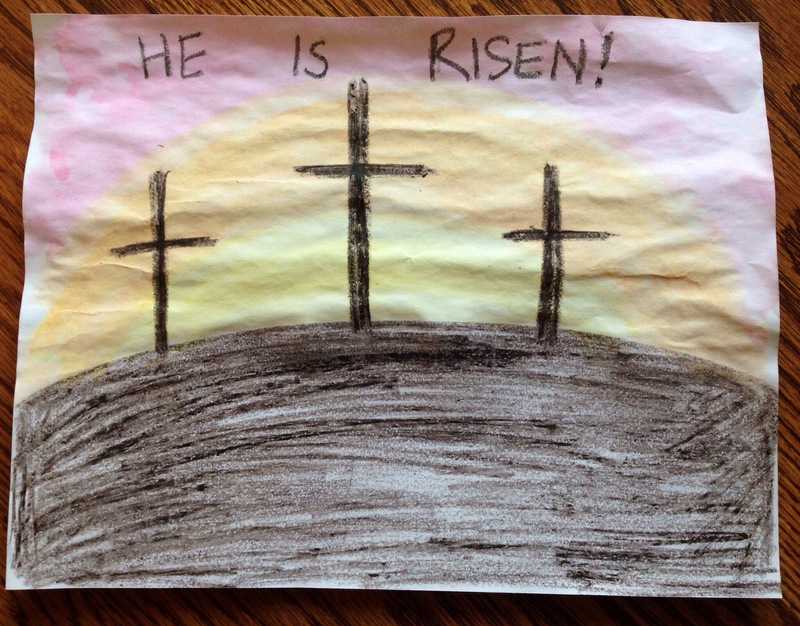 We did resist painting with dark crayons for the silhouette of the crosses. Then used water colors to paint on the sunset. That first one is mine and these next ones are my two girls’ paintings. They are 6 and 5, they really liked this project! We will also be making hot cross buns today just like every year 🙂 but instead of my recipe this year I think we will try my friend Ree’s recipe. Thanks for stopping by! Used your picture in our homeschool today! Thanks! Let me know how Rees hot cross buns turn out. I love beautiful art!